My son and I met Caroline’s family at the library at story time. I was so happy to be asked to make a cake for this special occasion. Caroline’s Mom wanted a cake in the shape of a baptism gown. I used 4 square 12 inch vanilla cakes that were filled with strawberry buttercream. I chilled the covered cakes and then used extra cake to add dimension to the bottom of the dress. 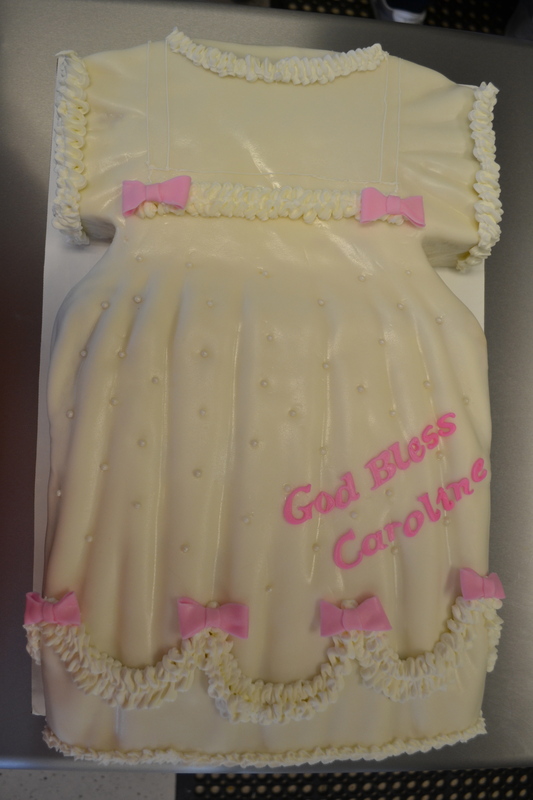 The cake was covered in homemade marshmallow fondant and then decorated with American buttercream to create the ruffles and other details. The lettering was done in pink fondant. This was a darling cake to make and I enjoyed working on it. 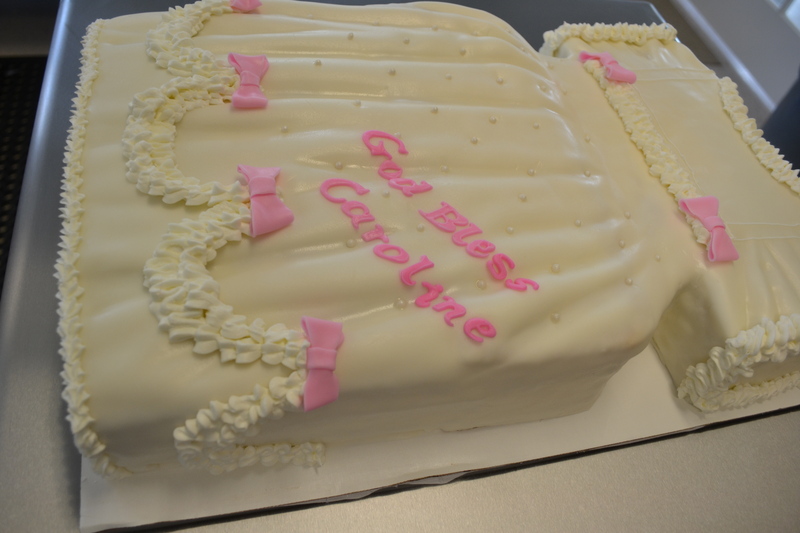 Thank you again to Caroline’s family! Stephanie- thank you so much for helping the WSG Book Club kick-off our first meeting with such pizazz and flare! Everyone absolutely loved the book (I mean cake) that you created to help us celebrate the evening. We were blown away by the technique used to create such intricate artwork on a cake! Simply wonderful and very tasty. Honestly, we talked more about the cake than the book! On behalf of the WSG Book Club, thanks again.